Students walk through an outdoor corridor near program headquarters. An up close look at Stanford’s architecture — a mix of Romanesque, Byzantine and modern elements — is a highlight of a campus stay. Photo by Ellen Austin/NBTB. 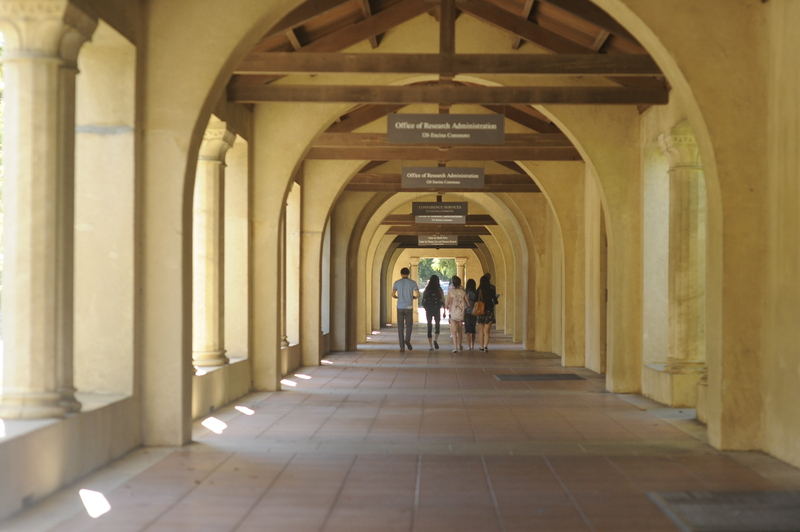 Please click here for a comprehensive visitor’s guide to the Stanford University campus and facilities, including an interactive search tool with directions from your starting point to campus destinations.